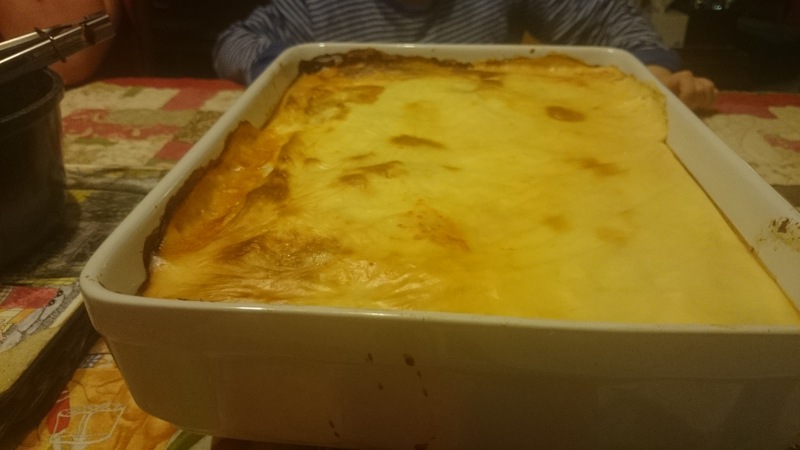 Now I know that I should have had another coloured vegetable on the plate but this cannelloni was absolutely delicious any way. I used minced pork that I had left over from making sausages (ran out of skins) so it already have garlic and chive flavouring in it. 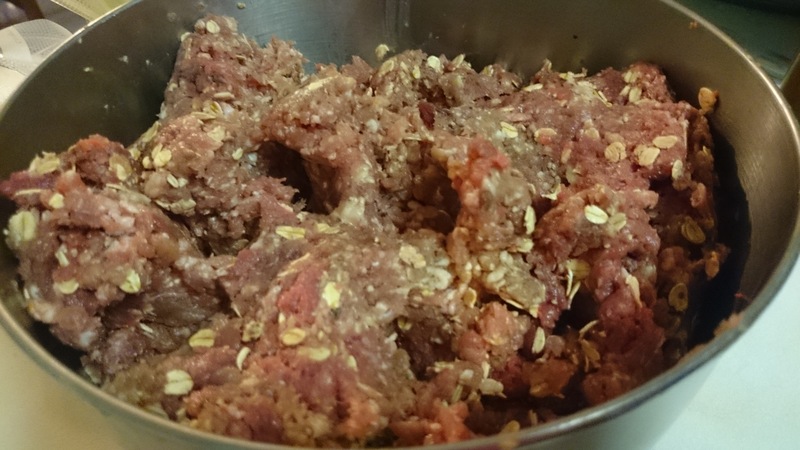 I did add some rolled oats, we really like mince dishes with oats. 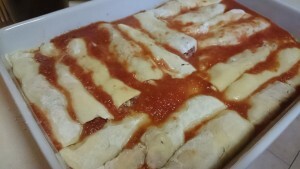 I made the cannelloni sheets myself using sourdough pasta. 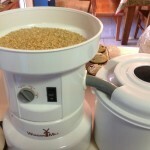 Actually I was going to make pasta but decided to do something different. 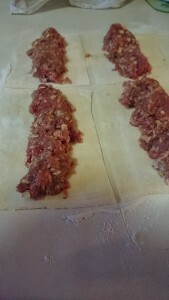 So after rolling out the pasta (I used a rolling pin) I cut it into rectangles. 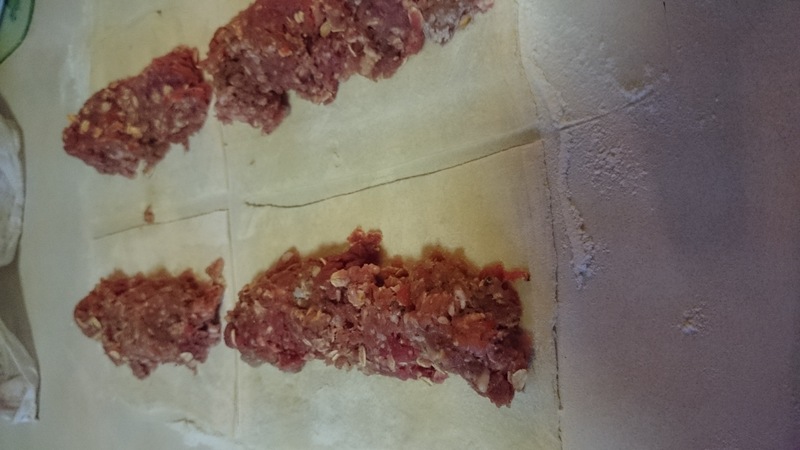 I then placed the mince mixture down the middle of the rectangles and then rolled them up into tubes. 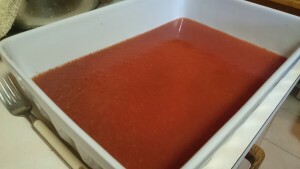 I put a jar of home bottled tomatoes on the bottom of my baking dish and then placed the tubes into it. You want the sauce to almost cover the tubes. 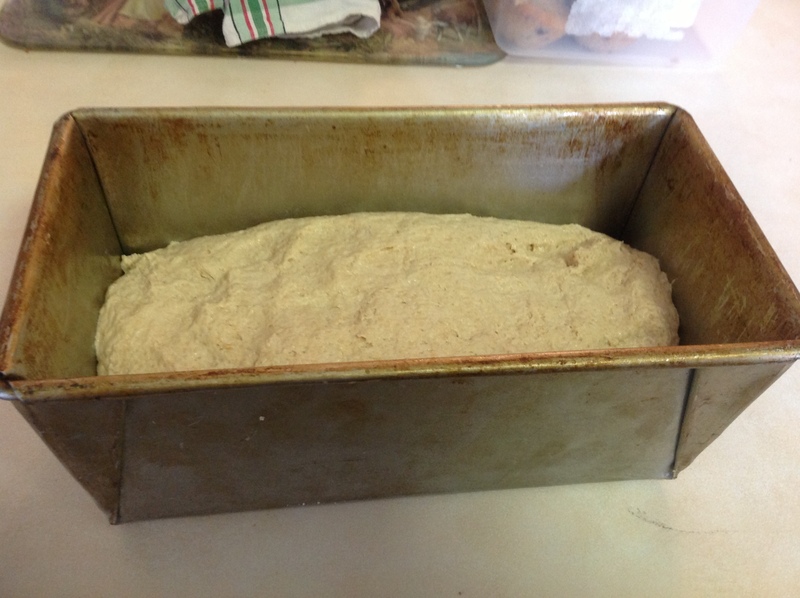 Bake in a moderately hot oven (180 degree c) for about 40 minutes. Serve with salad or vegetables, whatever you fancy. 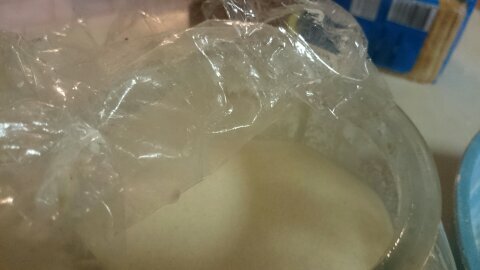 Before Christmas I had been making sourdough bread and we were really enjoying it and then I put my starter in the fridge to keep it alive during all the Christmas preparations. When I got it out I forgot to feed it and it went off, really off, I was wondering what the BAD smell was and you guessed it, it was my starter. So off to the chooks (chickens) it went, I was attached to it, but not that much. 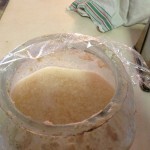 About 2 weeks ago I started another one and it has been bubbling away merrily. As I was going about my business around the blogosphere I came across a sour dough pasta post and I thought I just had to give it a go. 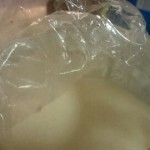 I started my starter by using equal amounts of flour and water daily for a week before using it. 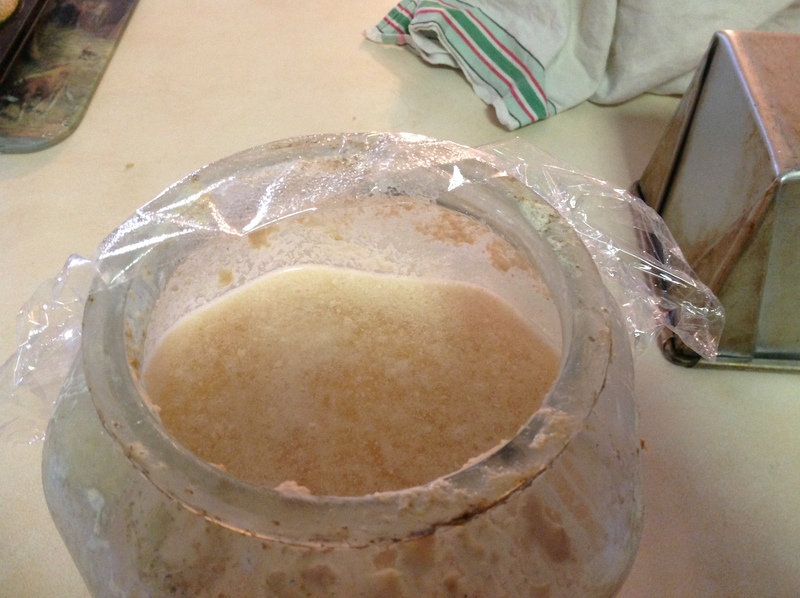 After a week you should see clear signs of fermentation. I’ve made some bread with it using whole wheat flour (ground it myself) but it wasn’t quite right, so I will try again adding a bit more white flour. I haven’t really made pasta before so I was thrilled that I could use my starter. Anyway I found a pasta recipe, tweaked it to suit and it was great. 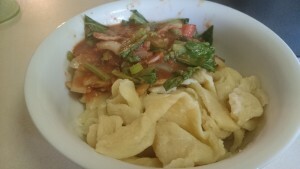 I did need to make the noodles thicker than normal but they tasted great and were nice with the bacon and vegetable sauce I made to go with them. Here’s the recipe, give it a go if you have time and don’t worry that they may not look store bought – that isn’t the point. 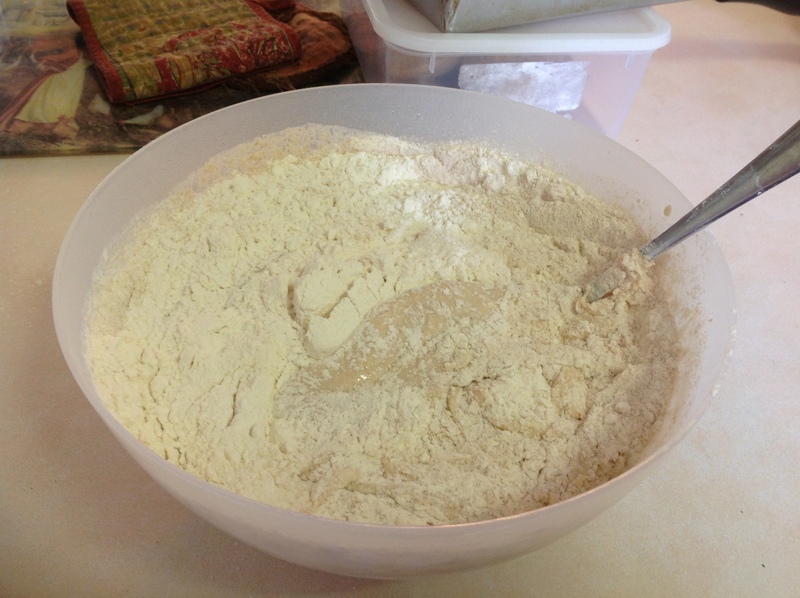 Place your flour in your mixing bowl and add starter, eggs and salt, and mix until it comes together to form a ball. 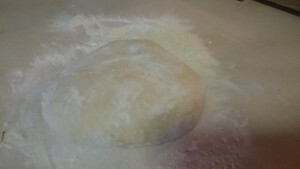 Allow the dough to sit (covered) for a few hours or overnight (I left mine overnight). 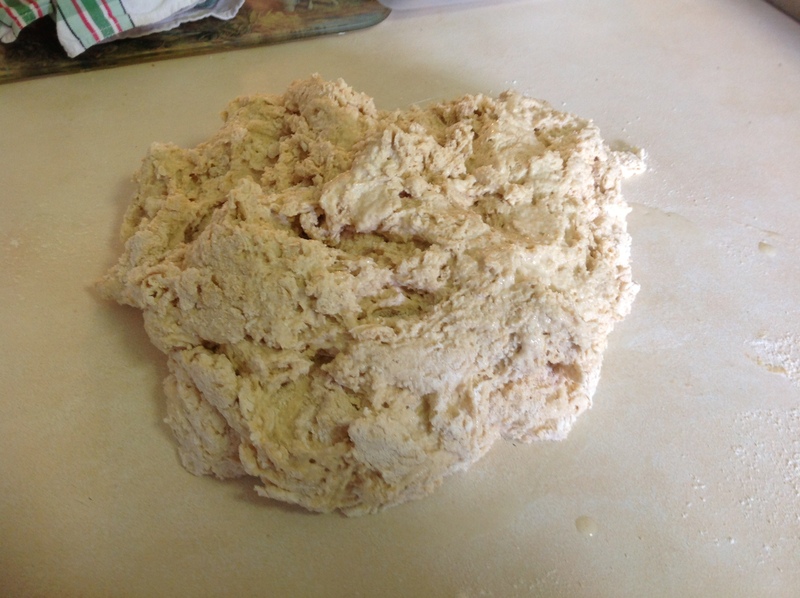 When you are ready to make your pasta just put the dough onto a floured surface and knead a little until smooth. 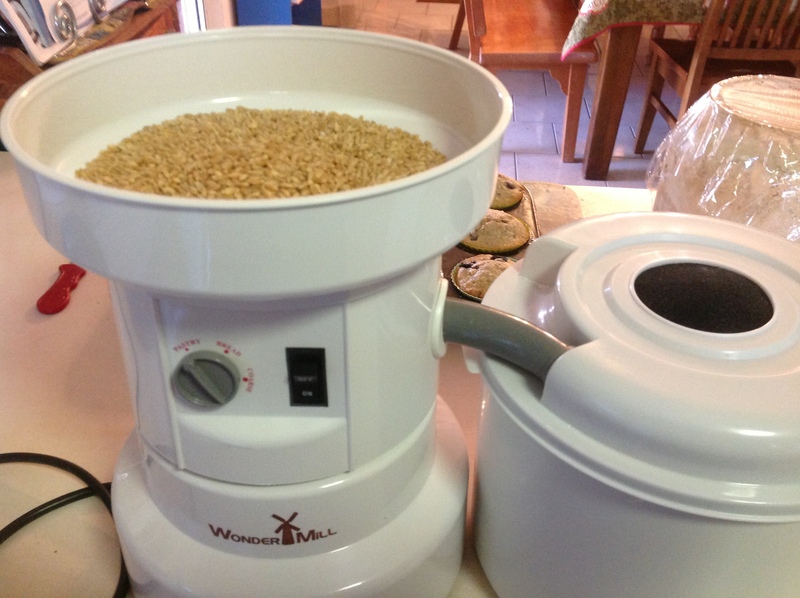 Roll out as thin as you can and slice into whatever size noodle you like. 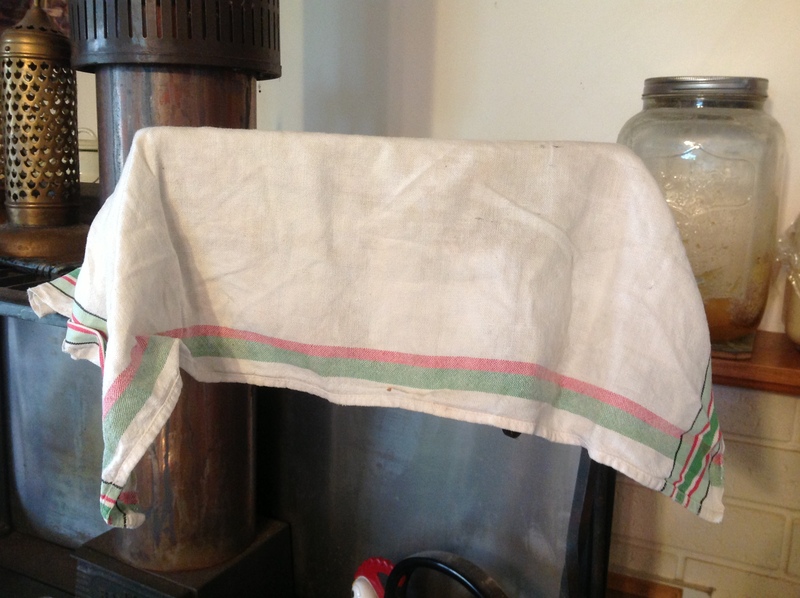 Your noodles are ready to cook now or you can dry them out on the counter. Keep an eye on these noodles as you are boiling them as they will boil over if you aren’t careful (learnt that one from experience). This amount of noodles served our family of 3 adults and 2 children quite nicely. 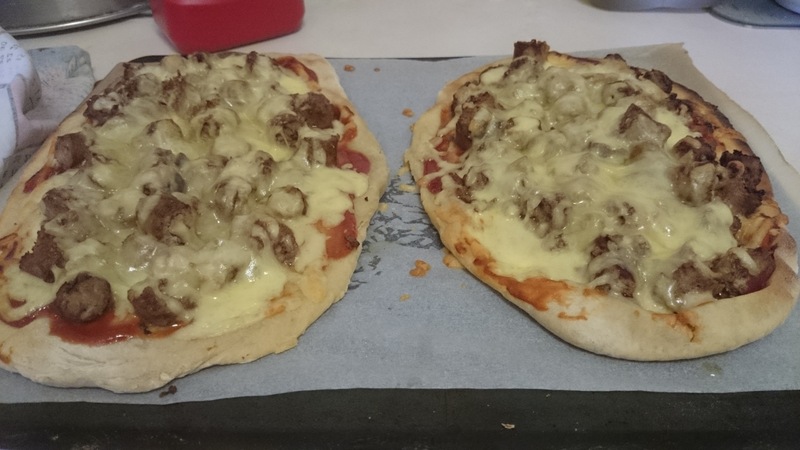 Then after the noodles turned out so well I thought I’d give pizza a go to take for our beach day last week. Sausage pizza made with our own sausages. 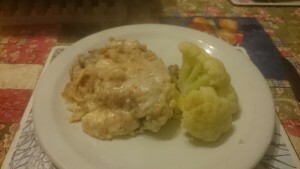 This was yummy even though we ate it cold and it was great reheated the next day for lunch. 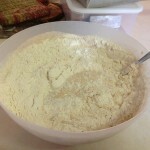 Mix all the ingredients together in a bowl until it comes together to form a ball. 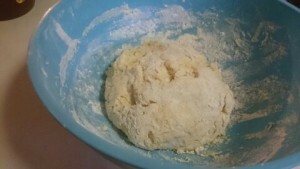 If the mixture is too dry add more starter and if too wet add more flour. All the dough to rest for 30 minutes or more and when you are ready to make your pizzas roll the mixture out on a floured surface until the desired shape and thickness. I got four pizzas out of this amount, two to eat straight away and two to freeze for another day. 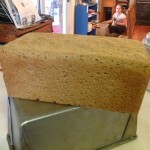 I did rectangle ones and they fitted nicely on my baking trays. 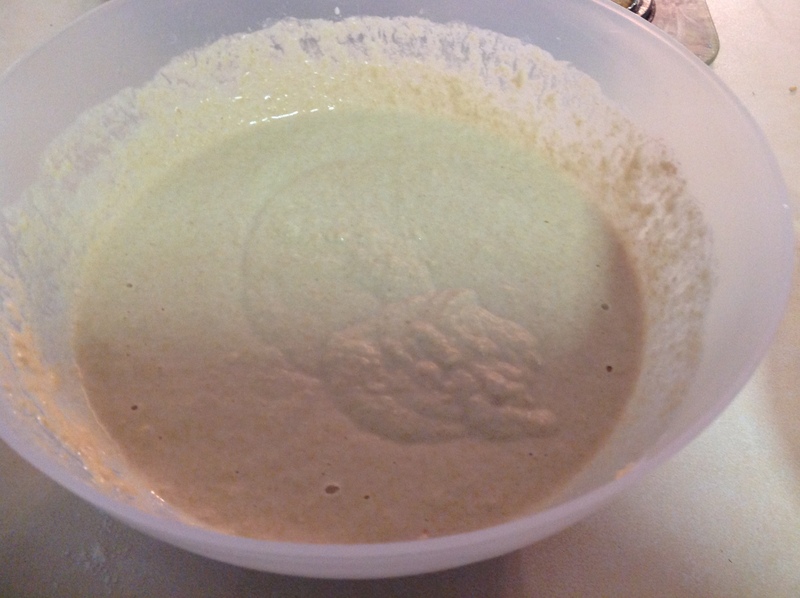 Now you are only going to partly bake this base for about 6 minutes. 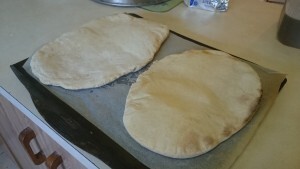 Once done remove them from the oven and brush them with olive oil. 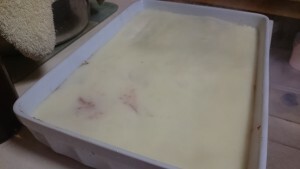 Then top with your favourite toppings and bake until browned and cheese is melted. 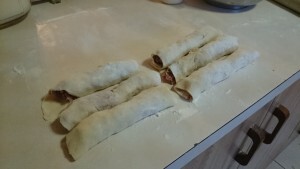 They were delicious and I now have two in the freezer when I want a quick easy meal. 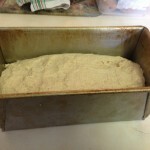 I am going to try and bake some more this week and get a few more in the freezer. 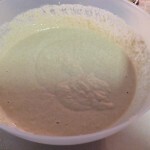 To get my starter up again I feed it with a cup of flour and a cup of water daily. 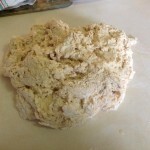 If you haven’t tried sour dough before I hope this gives you the encouragement you need to just give it a go. 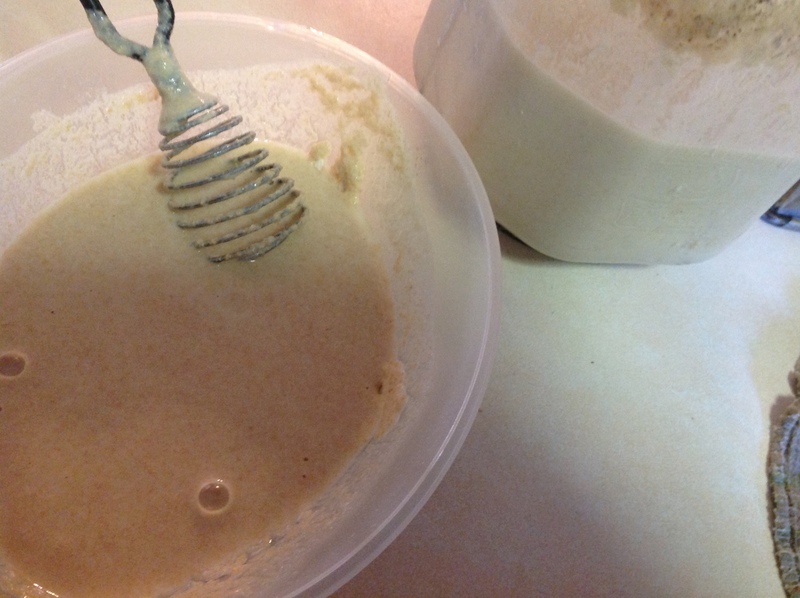 Now I’m off to make sourdough pancakes for breakfast.